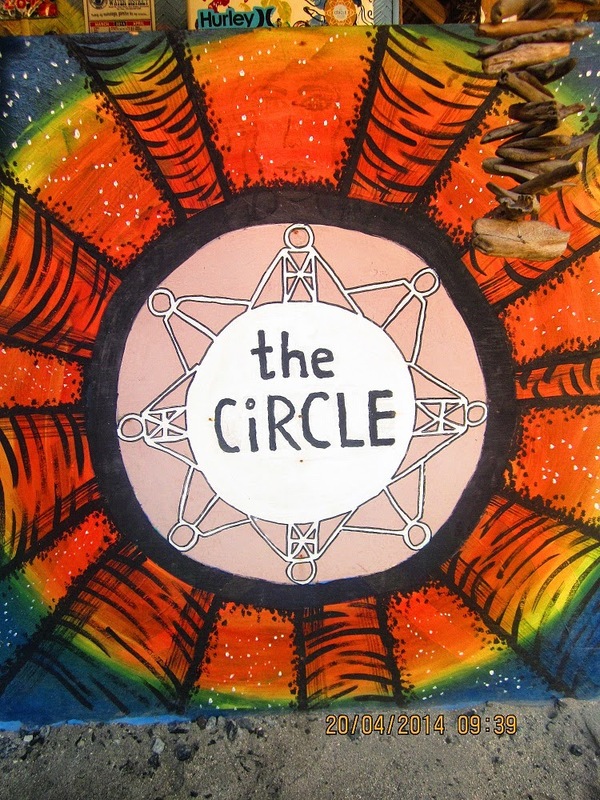 Much has been said about The Circle Hostel online from fellow travel bloggers. I thought their Marketing Manager did a very good job for tapping influential people on the net to talk about their brand. Their tagline "There is no stranger here" is very appealing as well for me to check it out myself as most of the time I travel alone but would love to meet new friends along the way. I said "I really got to see this out soon!" The long weekend courtesy of the commemoration of the Holy Week was the perfect timing so I packed my backpack bag for a swimming and surfing getaway. 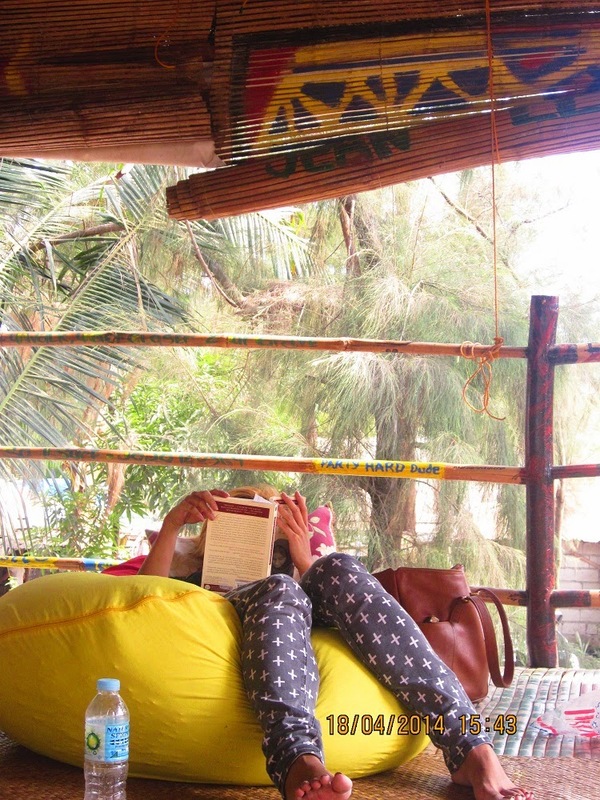 I am not actually a die - hard beach bum, all I ever wanted is to get out of the city, take some rest and have fun. 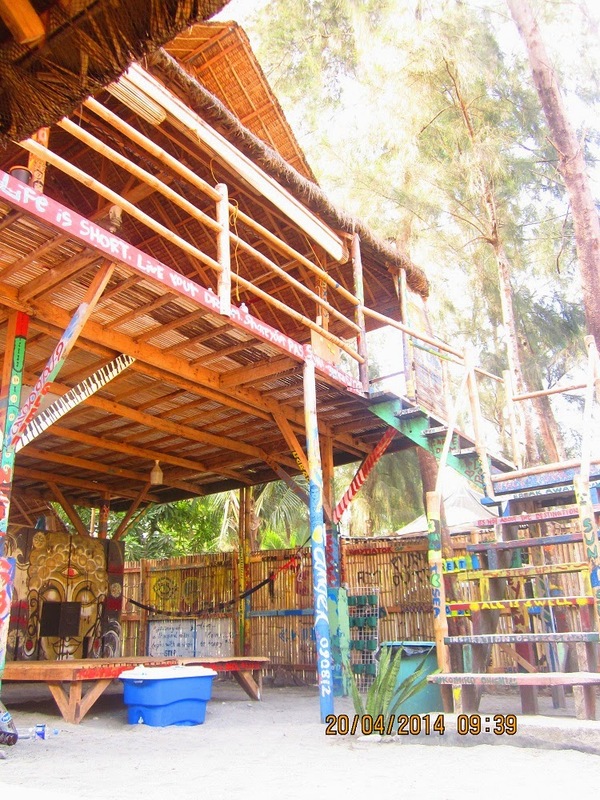 I also learned that The Circle Hostel offers a very affordable beach lodging so this really sounds good! Here's one of the ironies of my life, I help others prepare their trips every single day that I cannot even attend to my own! With less than 24 hours to prepare for my trip, I checked their website. 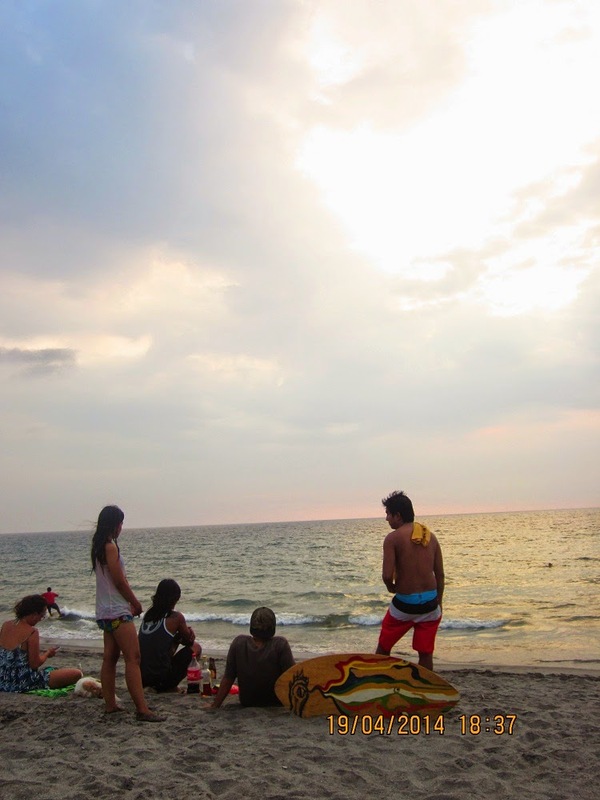 They have two locations: La Union and Zambales. I honestly do not know what to choose. Again, I only wanted to get out of the city and watch a sunset sitting in the sand. I first called the La Union contact number, I was told they're fully booked. 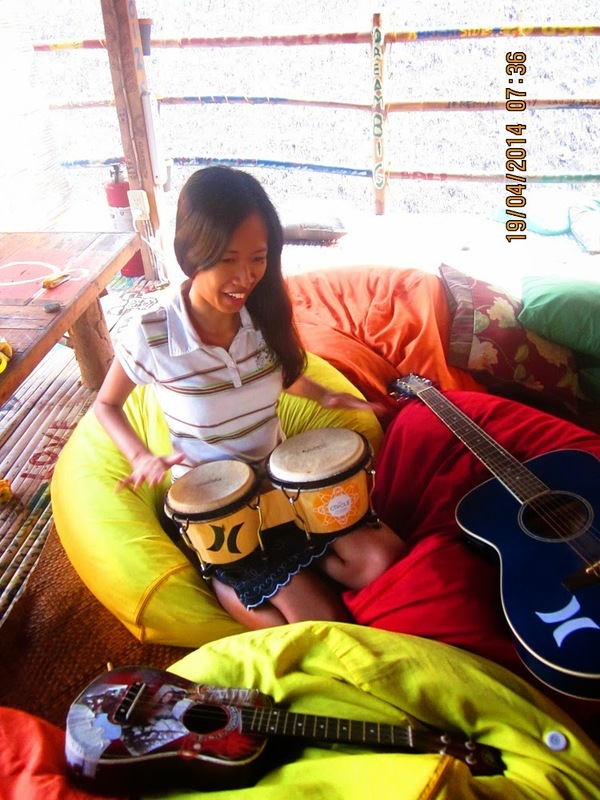 I am left with one choice - Zambales. The woman over the phone said their bunk beds are already occupied but the hammocks are available which is only a hundred peso less. I figured out how the heck am I gonna sleep the whole night in a half - moon position? "No way!" I told myself. But still I really wanted to get out of the city no matter what so in less than an hour on Holy Thursday at around 4pm I arrived in Cubao bus station. But the line of people buying the tickets are way, way longer than I thought! I almost wanted to go back and just spend the rest of the long weekend, lying in my bed. But isn't it this is the first time after 8 years that I am spending the Holy Week not working? I got to get anywhere except this place I call home here in Manila! 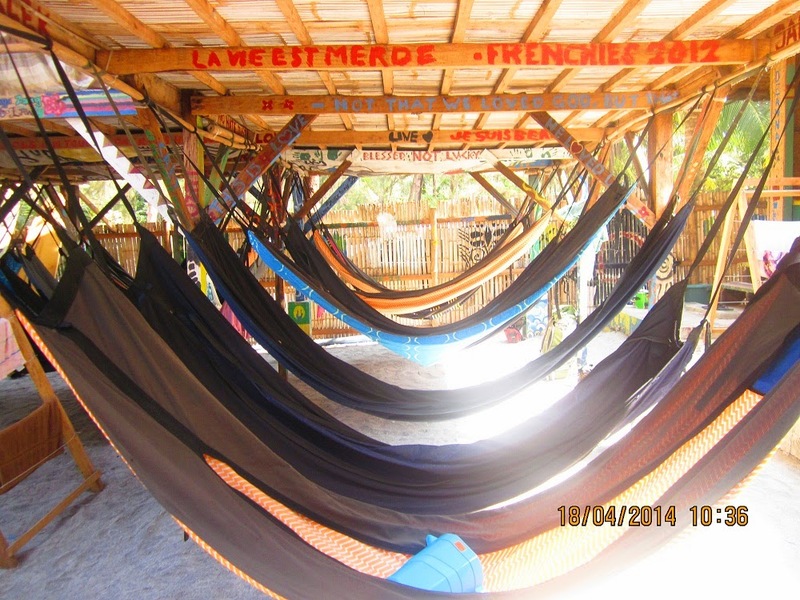 I am gonna be sleeping for the next 3 nights at one of these hammocks. I chose the furthest one. But it was the Common Area situated on the second floor that made a difference to my trip. It was in this place that the complimentary breakfast is served and where all the guests can come to chat, charge their phones / laptops/ tablets/ cameras and one can play a guitar, ukulele and drums. And because I got to meet new friends, I was able to swim in the beach NOT alone. I was able to have someone take photos for me like this one. 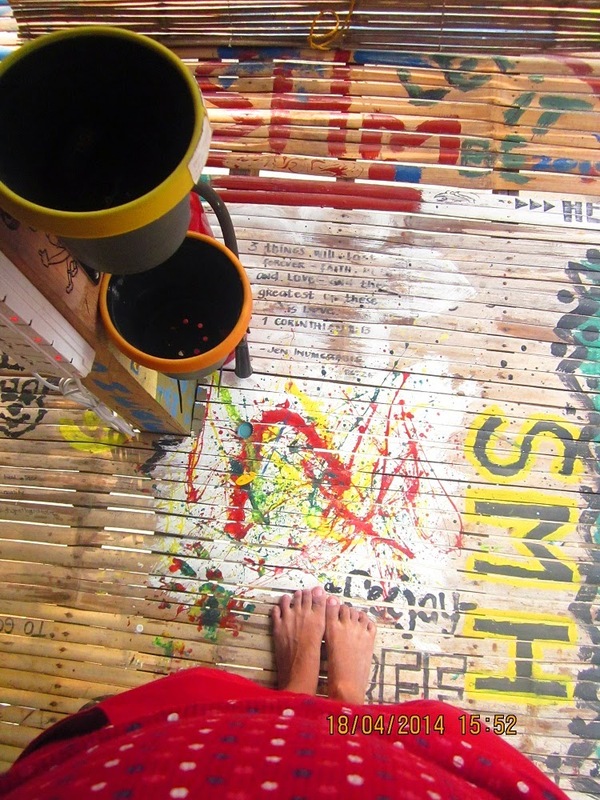 Plus The Circle Hostel encourages everyone to be artistic by letting them draw on the walls and bamboo beams whatever they like. You can read all the if you want in one of the giant pillows like her. 1.They have a shared CR so be patient in waiting for others to finish. 2. For your valuables, there is a locker for you. I suggest you bring your own padlock / key because if not you will need to rent one for them for P20 / day. 3. 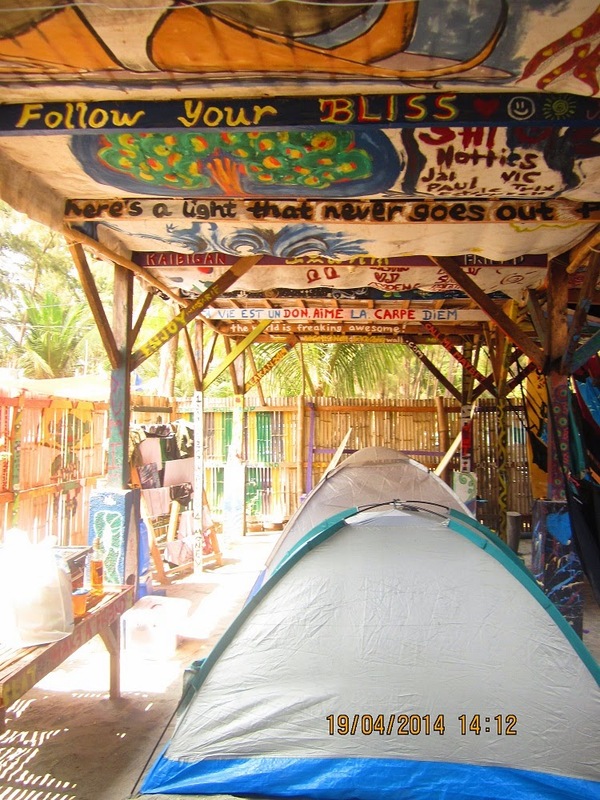 The hostel is not beachfront, so you will need to walk for another 10 minutes approximate to get to the beach. 4. They did not issued me an official receipt when I paid, I just wondered why.